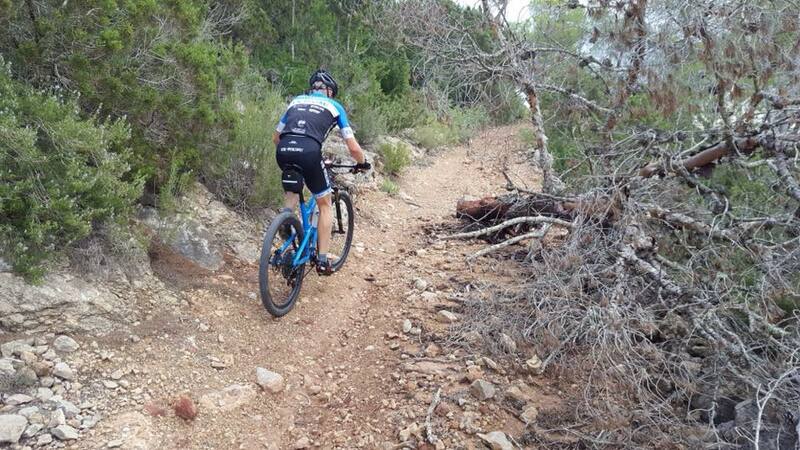 Ross Smith was representing Team GB in the off road duathlon, where it started with a run on the beach, a 3 lap technical bike course (1500ft climbing) and finishing with another run. Ross is one the top off road duathletes in Dorset but unfortunately it wasn't his day with a puncture on the first lap of the bike course that just couldn't be fixed. Ross managed to keep it topped up with air to complete the bike course and get out on the second run but it cost him a lot of time and it was a race that didn't reflect what he was capable of. Well done Ross to keep on going and for still a decent result of 68 out of 137 competitors. 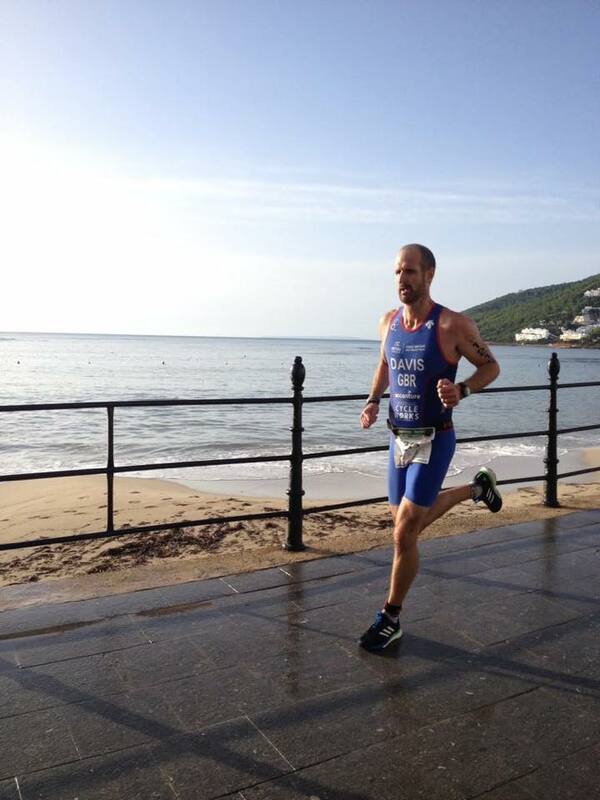 Simon Davis was also competing in Ibiza for Team GB but this time in the road duathlon where it was a 5km run, 20km road bike and a second 2.5km run. Simon had a good steady first run, a very strong bike where his second lap was faster than the first and a great second run, gaining a few more places to finish 17th place. Great work from Simon and his family out there to cheers him on. 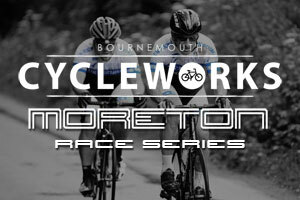 Naomi Shinkins was also racing last week (in much colder temperatures than Ibiza!) in the Antelope CC 2 up TT. The 11.6 mile course from Stockbridge to Sutton Scotney and back was lumpy and rough and a cold cross wind wasn't much help in either direction. 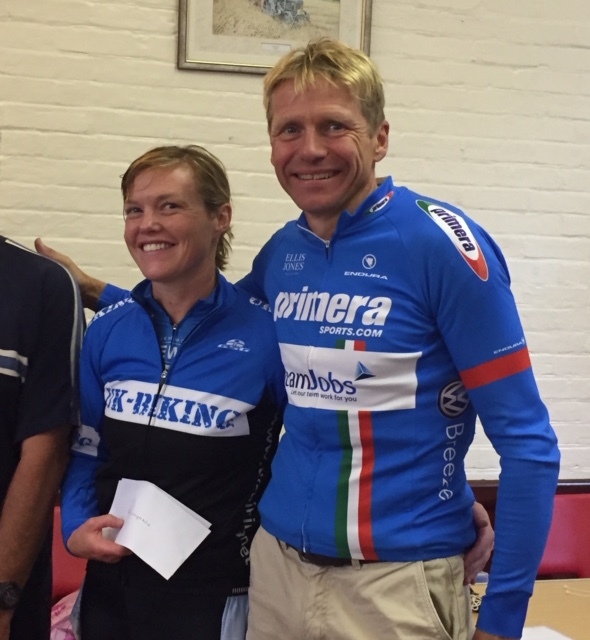 Naomi and her partner Julian Lockwood (Primera- Team Jobs) finished 2nd mixed team and 2nd composite team to earn a few quid for their efforts. Finally, Roland Tilley left the bike at home for a bit of cross training as he competed in The Stickler, a tough off road 10 mile run over some of North Dorset's bigger climbs of Okeford Hill, Hod Hill and Hambledon Hill. Roland finished in 1hr 20mins, a great time on the 'Dorset 3 Peak Challenge' (no cross bikes in sight! ).